Vice President of The Kidder Group, Inc.
Gabe Jenkins is Vice President of The Kidder Group, Inc. He brings with him a wealth of manufacturing knowledge with over 15 years in the automotive industry, with his last position as the Director of Quality – North America for Röchling Automotive in Duncan, SC. 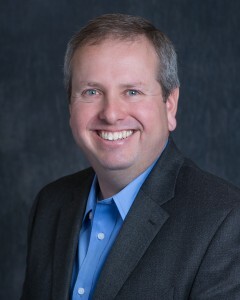 Prior to this position, he worked in quality management & engineering with TI Automotive & Kautex Textron in Georgia, and Blackhawk Automotive Plastics & Delphi Interior and Safety Systems in Ohio. Gabe acts as the membership chair with the Palmetto Section of The American Society of Quality (ASQ), and on the Architectural Committee for his HOA board. As an Ohio State fan, yell out a O-H and he’ll respond with a hearty I-O! Gabe is often at the soccer field or swimming pool, being a supportive parent and cheering on his kids to perform their personal best. Gabe enjoys taking on home improvement projects, and has a collection of tools in the garage to prove it! A gearhead at heart, he’s anxious to start restoring his 1978 Trans Am that has been in the family since day one. Gabe specializes in identifying high performance quality, manufacturing, automotive, supply chain, and engineering resources to fill the needs of our client companies.